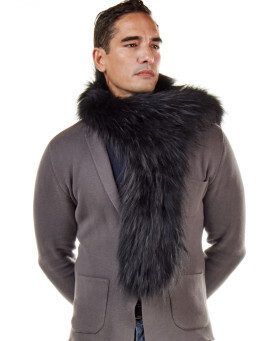 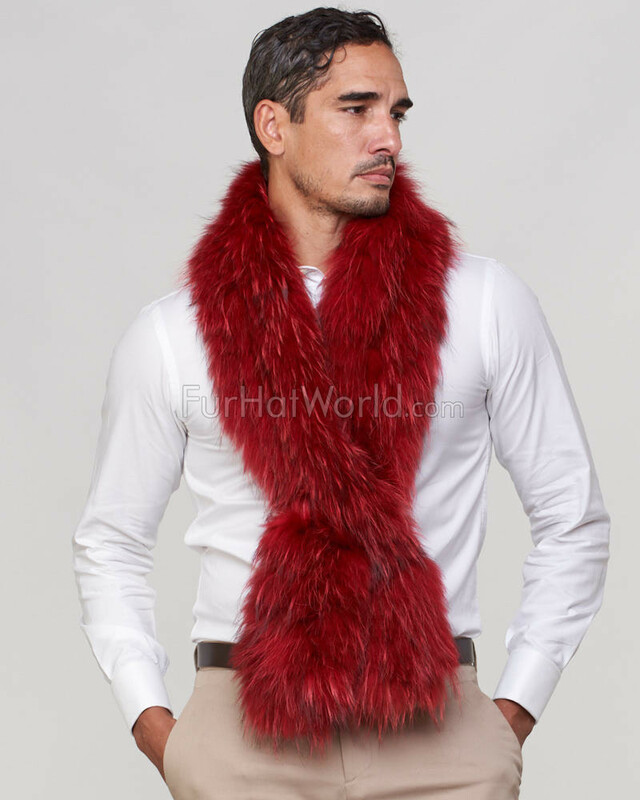 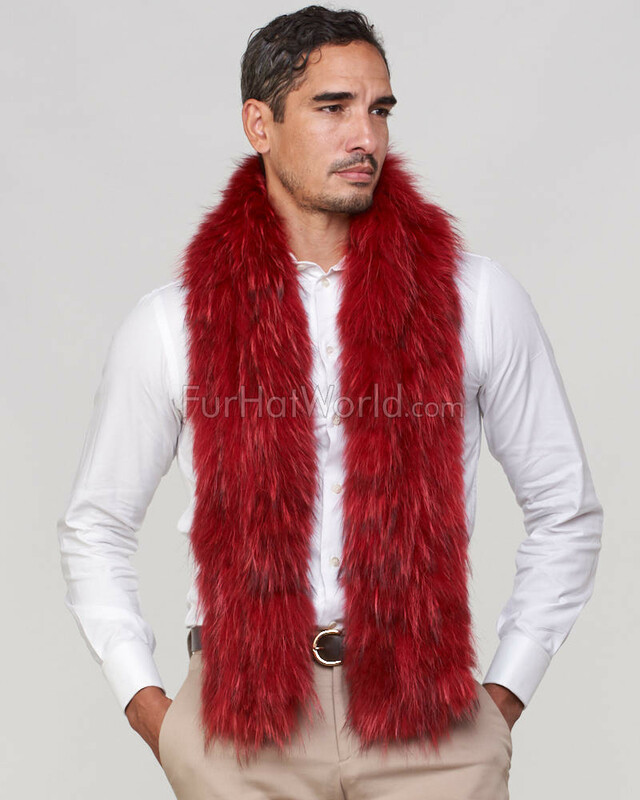 Add an instant accent to your suit in our Austin Knit Finn Raccoon Fur Scarf in Scarlet for men. 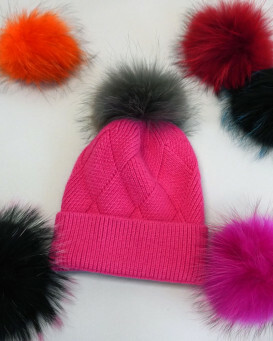 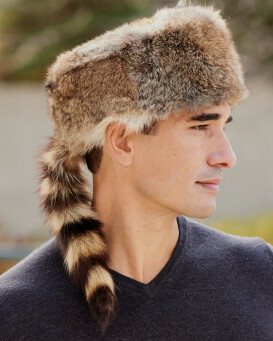 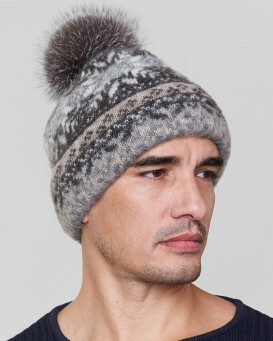 Natural highlights bedeck the authentic Finn Raccoon fur on both sides of the knit design. 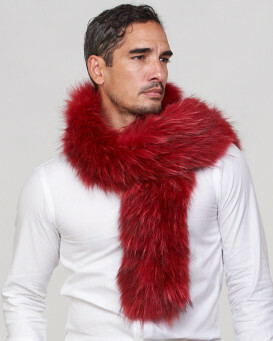 The lightweight appeal is available for you to wrap the piece around your neck or wear it down your shoulders. 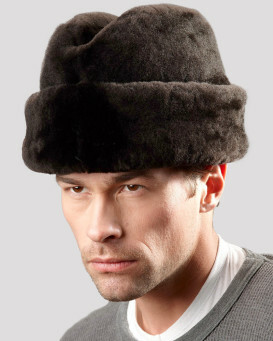 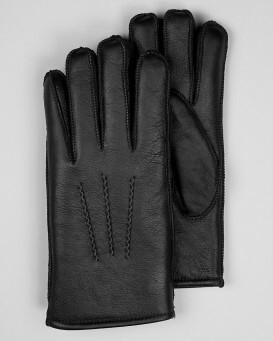 The handsome accessory is one size fits all to make a precious gift for any man. This accent would be great with a special coat or even over a simple t-shirt. 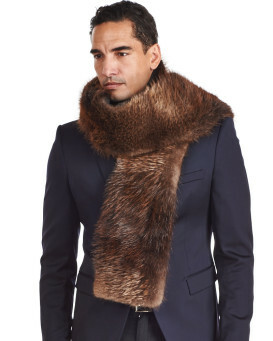 Whether it's the winter season or summer months, you'll feel cozy in this authentic Finn Raccoon fur scarf.